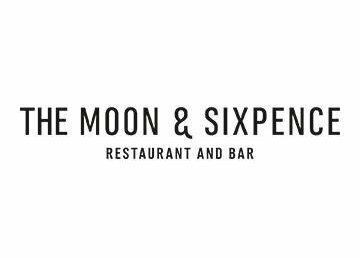 The Moon & Sixpence restaurant and bar in Yeadon, Leeds, is a beautiful treasure. Just recently opened, it offers a delicious lunch and dinner menu plus a fine array of wines and other drinks. The decor inside is stunning and pristine, with unobtrusive coloured lighting that adds to the overall ambience. roast baby plum tomatoes and the delicious roasted beetroot and goats cheese salad with rocket, baby gem and mixed leaves, cucumber, mooli and honey and balsamic glaze… and don’t even get me started on the awesome desserts. The restaurant launch had a fantastic atmosphere, with many local people turning up to support the event. It’s clear the owner and his team have already made their mark in the local area, and will have many months and years of success ahead of them. The canapes went down a storm and really showcased the talents of the chef, which will no doubt prompt many people to go for a return visit. Sarah Widdup played music throughout the night – and what a talent! I absolutely adored her singing and guitar-playing, and her song choices were brilliant. She’s playing loads of venues in the local area, so definitely go along to check her music out as she’s fantastic and added such a lot to the launch night. If you’re looking for classy dining without being intimidated by snooty waiters and scary-looking table cloths, then this is the place for you. The food is stunning, and the atmosphere is also lovely… what more could you want?